Constructivism is a theory that posits that humans are meaning makers in their lives and essentially construct their own realities. In various psychotherapeutic approaches that fall under the umbrella of constructivism, the client is viewed as an active participant creating and determining his or her own life path. Constructive thinking differs from other forms of modern theory that views reality as fixed and to be discovered by clients. On the contrary, in constructivism, reality is something that is created. 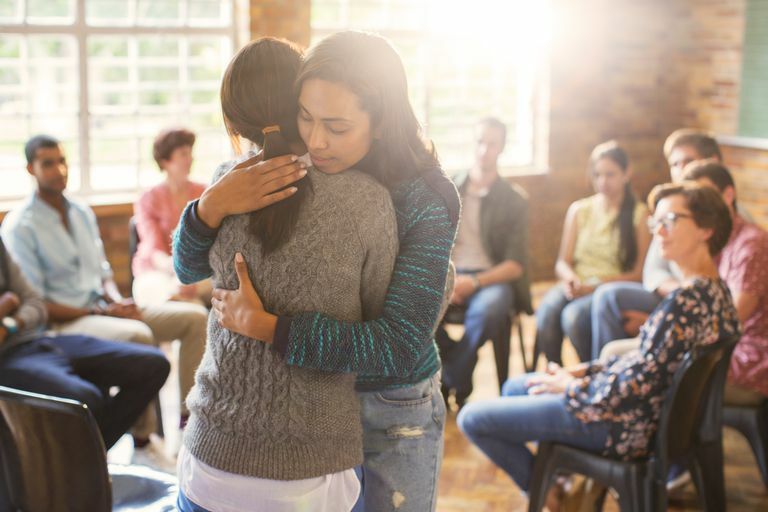 Constructive therapies offer a shifted perspective away from the traditional focus in psychology about what is wrong with a particular client to paying greater attention to someone's strengths. It is more optimistic and attends to a client's resources, goals, hopes, and dreams. There is more of a concern on where someone wishes to go in their lives as opposed to their history or childhood. The client is seen as a pro-active reality creator. How does one make meaning? In constructivist theory, meaning is not necessarily created by an individual but socially in relation to another. It "posits an evolving set of meanings that emerge unendingly from the interactions between people. These meanings are not skull-bound and may not exist inside what we may think of as individual 'mind.,' " (Hoffman, 1990). Reality is therefore socially constructed. This theory is similar to that which is posited in the cutting-edge field called interpersonal neurobiology, which views human identity as more relational than individual. In other words, we are who we are as we are in relation to another. The constructive therapist's role in psychotherapy is unlike the classic "doctor" role in which the therapist is supposed to "heal" or "treat" a patient. While the therapist has skills and significant expertise at facilitation and guiding sessions, the constructive therapist is not seen as the objective expert. In constructivism, there is a deep awareness of the subjectivity that everyone has, therapists included. Therapist and client are therefore seen as collaborative participants as they make meaning together and assists the client in creating his or her best reality as they move forward together. The constructive therapist subscribes to the belief in a socially constructed reality and sees his or her work with a client as co-constructing meaning together through conversation. The therapist focuses on a client's strengths, and does not look for illness or deficiencies, but rather emphasizes resources. He or she is focused on the future and is both hopeful and optimistic about the client's ability to make positive changes. What are some forms of therapy that fall under the constructivist umbrella? Solution Focused Brief Therapy (SFBT) is a form of brief therapy that has been used with all kinds of people, families, and problems. The emphasis, as with many constructivist therapies, is on the client's strengths and solutions that may already be available to them. The focus on what is already working, as opposed to a focus on what is wrong, yields more solutions as a result. Emotionally Focused Therapy (EFT) is used primarily with couples to deepen, enrich and save relationships. While EFT falls under the constructive umbrella, it also is an approach that is largely based on attachment theory, which emphasizes the importance of a safe and secure emotional bond with another. Narrative Therapy has been used with children, families, and adults. Narrative Therapy offers clients the opportunity to master their lives through the stories they tell themselves. The Narrative Therapist helps bring forth preferred realities of clients and enables them to essentially re-author their lives. Constructivism in mental health offers a great deal of hope and optimism. With a trusted constructivist therapist who can skillfully facilitate life-changing conversations, new possibilities and opportunities emerge in clients' lives. Hoyt, M. F. (Ed.) (1998). The handbook of constructive therapies: Innovative approaches from leading practitioners. San Francisco, CA: Jossey-Bass Inc., Publishers.